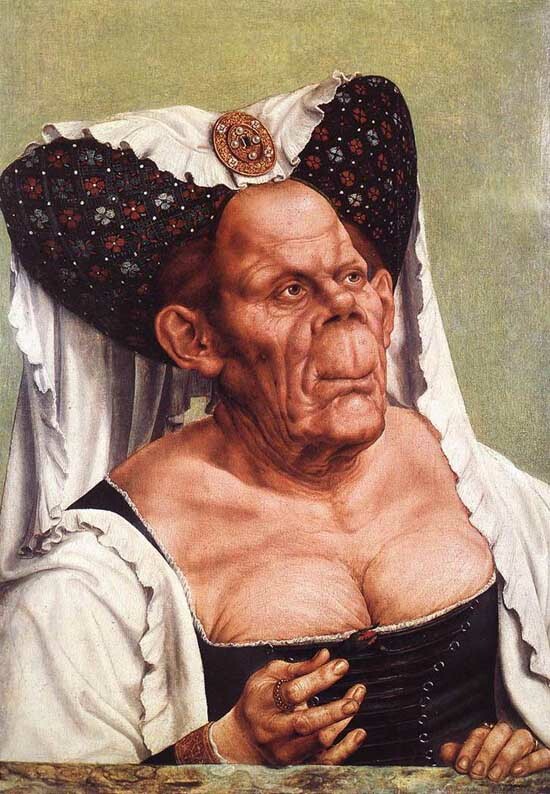 Possibly the nastiest painting ever produced, this is called A Grotesque Old Woman and it is attributed to Flemish Renaissance master Quintin Massys in Antwerp sometime between 1513-1530, with many favoring 1515. 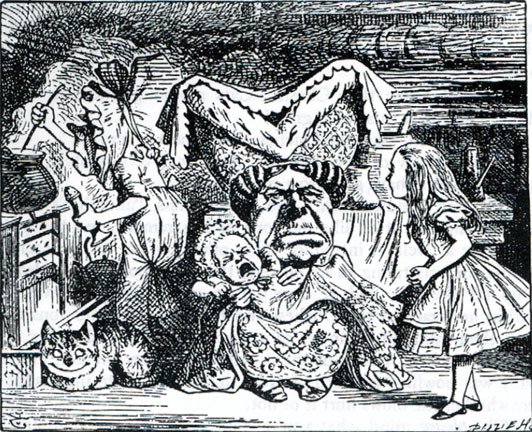 It served as a model for John Tenniel’s Duchess in Alice in Wonderland and the painting is better known these days as The Ugly Duchess. 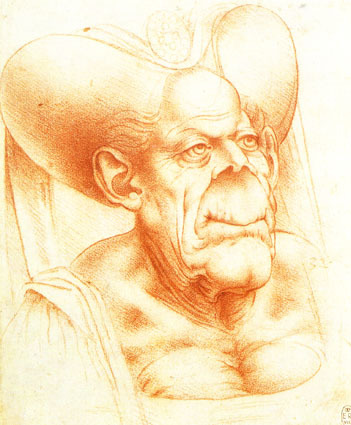 Massys based his own picture on one of Leonardo da Vinci's caricatures from the 1480's/1490's (below). Some argue this is a copy of Leonardo's sketch, produced by his assistant Francesco Melzi between 1510 and 1520. Both works seem like intentional gender-benders and satirical rather than portraits. 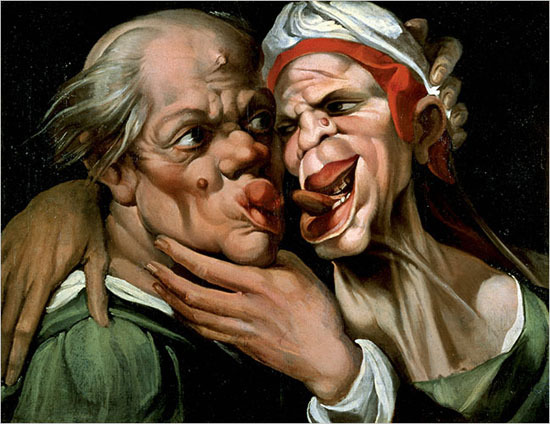 Art historians suggest "she" was a caricature of Margaret Maultasch (literally "bag mouth" in German), countess of Tyrol, because she was considered ugly, especially her mouth, but there were other reasons for ridiculing Margaret, who lived 1318-69, such as the fact that she dared to divorce her first husband to marry somebody else, which resulted in them both being excommunicated by the Pope (at least until the next Pope reversed it). But we also know that Massys' friend Erasmus, in his book In Praise of Folly, ridicules old mad women who "still play the coquette", who "cannot tear themselves away from their mirrors" and "do not hesitate to exhibit their repulsive withered breasts," which seems a much better explanation. Then there are those who say, no, these were serious works and the woman may have suffered from Paget's Disease. You be the judge. For other gender-benders, see Pope Joan and George Sand.